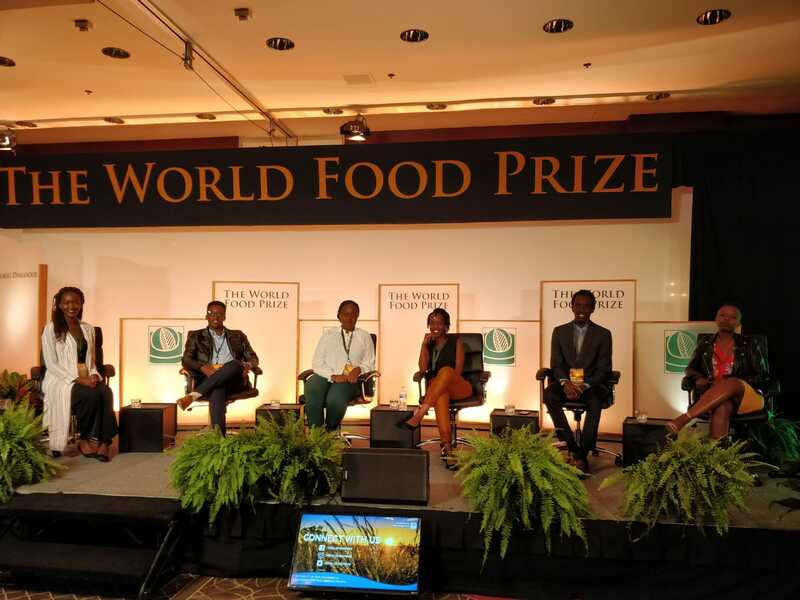 Seven undergraduate students from the College of Agriculture and Natural Resources, as well as a visiting international scholar with the Borlaug Fellowship program and her faculty mentor, attended this year’s World Food Prize Norman E. Borlaug International Symposium, or “Borlaug Dialouge” in Des Moines, Iowa, named for famed agronomist, Nobel Peace Prize laureate and “Father of the Green Revolution,” Norman Borlaug. Convening an array of international leaders, farmers, agribusiness professionals, non-governmental organizations, and development experts in what’s called by some "the premier conference in the world on global agriculture,” this year’s theme was “Rise to the Challenge,” and explored the massive cross-sector effort to feed the planet’s future population of 9.5 billion people expected by 2050. “This event helped me to consider again… what we should do to create a sustainable and safe food supply for our future,” said Jugder. “(Something that) really inspired me was a citation on the wall (which read) ''Food is the moral right of all who are born into this word.” The IANR Office of Global Engagement has coordinated hosting these scholars and matching them with faculty mentors since 2015.